As America struggles with high unemployment and record inequality, everyone is offering competing solutions to the problem. In this war of words (and classes), one thing has been repeated so often that many people now regard it as fact. Specifically, by starting and directing America’s companies, rich entrepreneurs and investors create the jobs that sustain everyone else. This statement is usually invoked to justify cutting taxes on entrepreneurs and investors. If only we reduce those taxes and regulations, the story goes, entrepreneurs and investors can be incented to build more companies and create more jobs. This argument ignores the fact that taxes on entrepreneurs and investors are already historically low, even after this year’s modest increases. And it ignores the assertions of many investors and entrepreneurs (like me) that they would work just as hard to build companies even if taxes were higher. But, more importantly, this argument perpetuates a myth that some well-off Americans use to justify today’s record inequality — the idea that rich people create the jobs. 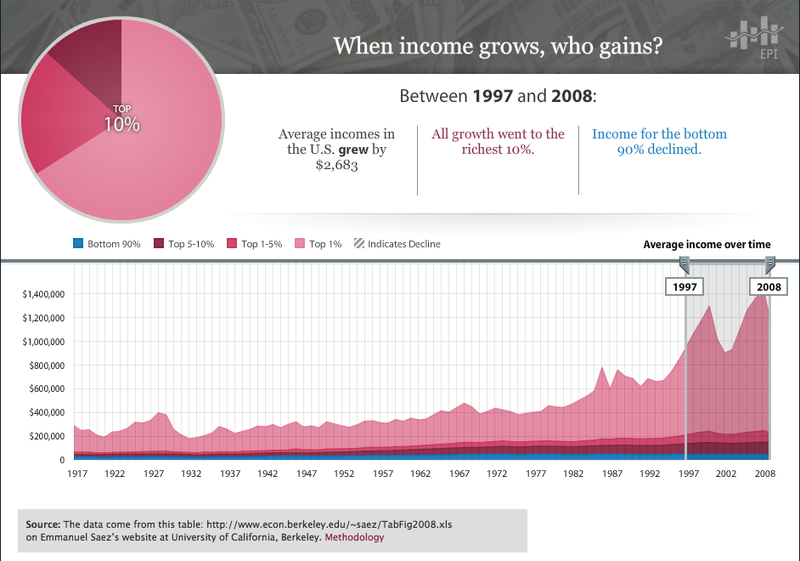 In the last 15 years, almost all of the income gains have gone to the richest Americans. Entrepreneurs and investors like me actually don’t create the jobs — not sustainable ones, anyway. Yes, we can create jobs temporarily, by starting companies and funding losses for a while. And, yes, we are a necessary part of the economy’s job-creation engine. But to suggest that we alone are responsible for the jobs that sustain the other 300 million Americans is the height of self-importance and delusion. A healthy economic ecosystem — one in which most participants (the middle class) have plenty of money to spend. Over the last couple of years, a rich investor and entrepreneur named Nick Hanauer has annoyed all manner of rich investors and entrepreneurs by explaining this in detail. Hanauer was the founder of online advertising company aQuantive, which Microsoft bought for $6.4 billion. The company’s customers buy the company’s products. This, in turn, channels money to the company and creates the need for the company to hire employees to produce, sell, and service those products. If the company’s customers and potential customers go broke, the demand for the company’s products will collapse. And the jobs will disappear, regardless of what the entrepreneurs or investors do. Or, to put it even more simply, it’s like saying that a seed creates a tree. The seed does not create the tree. The seed starts the tree. But what actually grows and sustains the tree is the combination of the DNA in the seed and the soil, sunshine, water, atmosphere, nutrients, and other factors that nurture it. Plant a seed in an inhospitable environment, like a desert or Mars, and the seed won’t create anything. It will die. So, then, if what creates the jobs in our economy is, in part, “customers,” who are these customers? And what can we do to make sure these customers have more money to spend to create demand and, thus, jobs? The customers of most companies are ultimately American’s gigantic middle class — the hundreds of millions of Americans who currently take home a much smaller share of the national income than they did 30 years ago, before tax policy aimed at helping rich people get richer created an extreme of income and wealth inequality not seen since the 1920s. She’d like to create jobs. But she can’t afford to anymore. Click to see how extreme inequality has gotten. America’s middle class has been pummeled, in part, by tax policies that reward “the 1%” at the expense of everyone else. It has also been pummeled by globalization and technology improvements, which are largely outside of any one country’s control. The prevailing story that justifies tax cuts for America’s entrepreneurs and investors is that the huge pots of gold they take home are supposed to “trickle down” to the middle class and thus benefit everyone. Unfortunately, that’s not the way it actually works. First, America’s companies are currently being managed to share the least possible amount of their income with the employees who help create it. Corporate profit margins are at all-time highs, while wages are at an all-time low. Second, as Hanauer observes, America’s richest entrepreneurs, investors, and companies now have so much money that they can’t possibly spend it all. So instead of getting pumped back into the economy, thus creating revenue and wages, this cash just remains in investment accounts. Hanauer takes home more than $10 million a year of income. On this income, he says, he pays an 11% tax rate. (Presumably, most of the income is dividends and long-term capital gains, which carry a tax rate of about 20%. And then he probably has some tax shelters that knock the rate down the rest of the way). With the more than $9 million a year Hanauer keeps, he buys lots of stuff. But, importantly, he doesn’t buy as much stuff as would be bought if his $9 million were instead earned by 9,000 Americans each taking home an extra $1,000 a year. Because, despite Hanauer’s impressive lifestyle — his family owns a plane — most of the $9+ million just goes straight into the bank (where it either sits and earns interest or gets invested in companies that ultimately need strong demand to sell products and create jobs). For a specific example, Hanauer points out that his family owns 3 cars, not the 3,000 cars that might be bought if his $9+ million were taken home by a few thousand families. If that $9+ million had gone to 9,000 families instead of Hanauer, it would almost certainly have been pumped right back into the economy via consumption (i.e., demand). And, in so doing, it would have created more jobs. 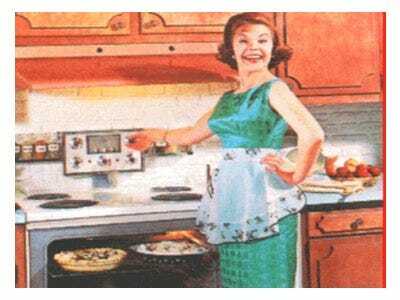 Hanauer estimates that, if most American families were taking home the same share of the national income that they were taking home 30 years ago, every family would have another $10,000 of disposable income to spend. That, Hanauer points out, would have a huge impact on demand — and, thereby job creation. Rich people don’t create the jobs.